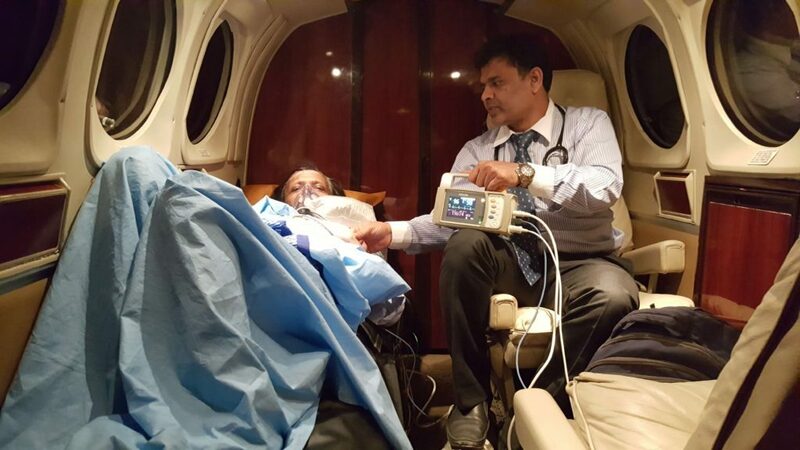 We, at Human Care Air Ambulance Company, offer the Air Ambulance Services in Oman for the reason of lifting the patient both within the country and also to different international medical care centers. We specialize in medical retrieval and repatriation services for people who have fallen ill or undergone an accident. We are committed to providing ambulance services to the people of Oman at the time of need. Human Care Air Ambulance Company is one of the trusted Air Ambulance Service providers in Oman. Our focal purpose is to raise the probability of endurance of the patients by supplying them treatment as early as achievable by our air ambulance services. The medical health emergencies can occur at any time without any prior warning and at that time every minute passed is very vital for the seriously ill or injured patient. In such cases airlifting happened to be the last way out measure which is taken for saving the life of the patient as ground transport services may cause danger to patient’s life but on the other hand air ambulance is the safest, fastest and time-saving way of transporting seriously ill patients from their place to the destination. That’s why the Human Care Air Ambulance has turn out to be one of the most significant air services for medical aids all over the world. We provide this valuable air ambulance service 24 hours a day, 365 days a year24/7 to cope up with any emergency need in cost-effective prices. We provide air ambulance services in Oman for both emergency and non-emergency medical conditions. It doesn’t matter what the state of the patients is, and where they are thought to be transferred, we do our best to transfer such patients via our air ambulance service and make them arrive at a safe and sound place, as fast as possible. Our air ambulance aircraft and helicopters acquire all the essential and advanced equipments such as pacemakers, ventilators, oxygen cylinders, stretchers and other required equipments, so that the safe and secure transfer of the patient can be guaranteed and helpful treatment of the patients can be done for the duration of the flight, or up to the time they arrive at their destination. Our doctors and nurses are extremely skilled and practiced persons and they look out patients with full commitment and devotion as they are qualified to deal with patients in the most demanding and tough situations and carry out well-organized and in time bed-to-bed shifting worldwide. We provide best specialist counseling and support in finding the appropriate hospitals, expert doctors, advisors, and others for the patient. Our team also caters in providing disaster management services by transporting injured persons to medical centers from the affected area of the disaster.